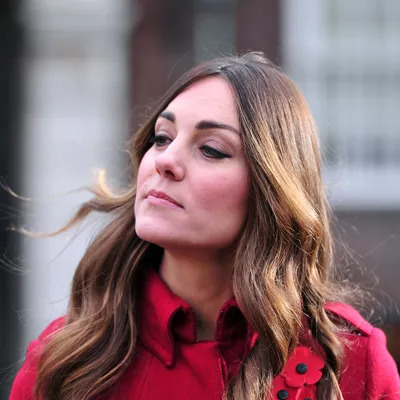 When Kate Middleton was spotted in early November for Poppy Day in London, she revealed more than just a new ‘do: The Duchess of Cambridge’s silver roots were on full display. Whether it’s Prince George keeping the royal awake at all hours of the night or simply genetics, the world was shocked at the 31-year-old's roots. And while Middleton was all smiles for the cameras, other women may not be as comfortable with the first sign of silvery tresses. Should Men Dye Their Hair or Go Gray? “Don’t freak out!” says Erick Orellana, hairstylist from the Sally Hershberger Salon in Los Angeles. It may be tempting to pick up the tweezers and pluck out that one strand that just keeps taunting you in front of the mirror, but don’t do it! “Yes, plucking gray hairs does not cause other gray hairs to grow, but it does mean the hair that will grow in its place will be shorter and therefore stick out,” stresses Los Angeles-based Julia Papworth, who has worked with Hollywood actresses who include Cameron Diaz and Emma Roberts. “In addition, plucking hair causes damage to the follicle that can lead to thinning over time.” Did we also mention how much it hurts? Conlon says that embracing your grays, such fellow famous Brit Helen Mirren, can actually make your hair sleeker and elegant. However, to make this look work for you, she recommends one treatment that will brighten your face, revealing a more youthful glow. “My best tip is to add face framing highlights to blend the gray for a more natural look,” she says. Conlon also encourages clients to develop a dialogue with their colorist and explain how much time and money you can commit to your hair to ensure you’re getting the best option that meets your needs. “Kate (Middleton) is known for her gorgeous hair, but is being extremely realistic about not being able to make it to the salon every time a gray pops up, especially being that she has Prince George to love and care for,” she adds. “My best recommendation for expecting and new moms who want to fight grays without all of the chemicals is using a product called Touchback,” says Conlon. “TouchBlack is a marker that bonds true liquid temporary color directly to hair, concealing grays. It can also be washed out with shampoo.” Conlon also says that unlike some root touch-up sprays, she finds that TouchBlack doesn’t brush out or flake. But for those seeking natural dyes, look for products that are ammonia free or use henna instead, which is largely plant-based. Another alternative to trying a demi permanent hair color is a gloss treatment, which will give dull, lifeless tresses a boost of shine, all while enhancing your natural shade with tint, bringing out the warmth of your strands. While gloss treatments are usually recommended for those who’ve never had their hair colored before as a good introduction, Chan says it’s also a great choice for someone seeking to hide grays. “A hair color gloss can create a blending effect without using permanent color, which is much better for hair and low maintenance too,” says Chan. Gloss treatments usually last between four to six weeks before washing or fading out. Rocking a silver mane may require confidence, but stylists say it’s perfectly acceptable and encouraged, especially when you know how to do it correctly. “Gray hair is naturally coarser, so your goal should be to smooth them down with the rest of your hair,” says Papworth. “Smoothing creams are great for this job, as well as a light hold hairspray to control flyaways.” Another benefit to using smoothing creams? It gives gray hair, which tends to be dry, some much-needed moisture.